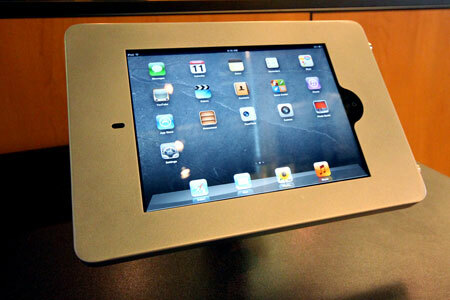 iPads have proven to be a integral part of trade show marketing and now they are even more accessible with the new iPad mount from ExpoDisplays. 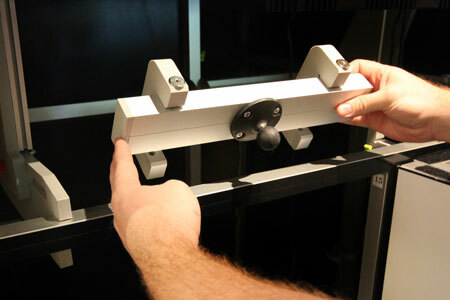 The iPad mount allows users to encase an iPad(version 2 or 3) in a protective aluminum casing and attach it seamlessly to the MultiQuad exhibit with a single mount that comes fully assembled. 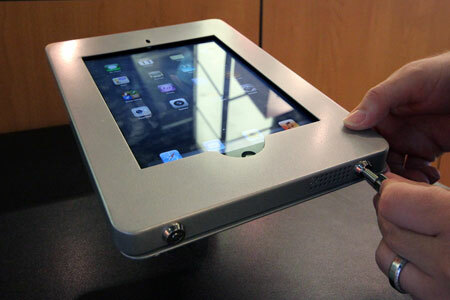 Each case is designed with an opening for the home button and access to the cable path so you can keep your iPad plugged in and charging during your show. 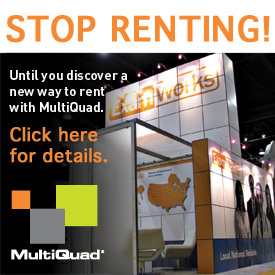 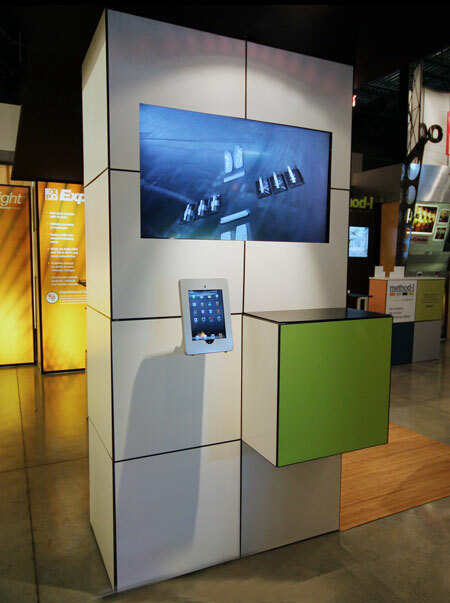 The ways to intergrate an iPad into your trade show marketing program are limitless, but here are some ways others have been utilizing their iPad when mounted on MultiQuad. 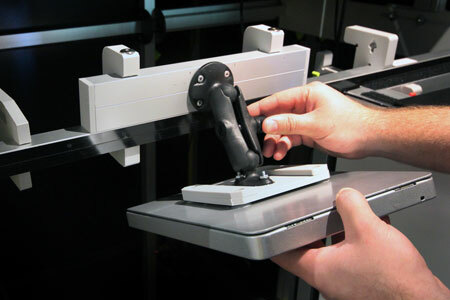 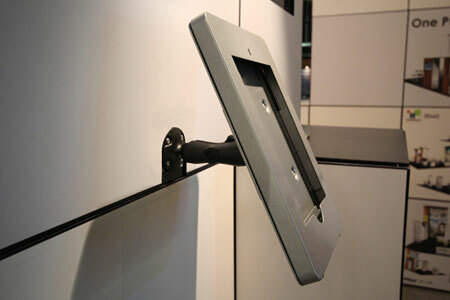 Attaching an iPad to your MultiQuad exhibit is quick and easy with the custom designed iPad mount from ExpoDisplays. 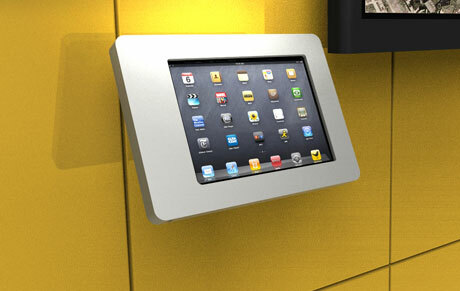 We built the case with exhibitors in mind. 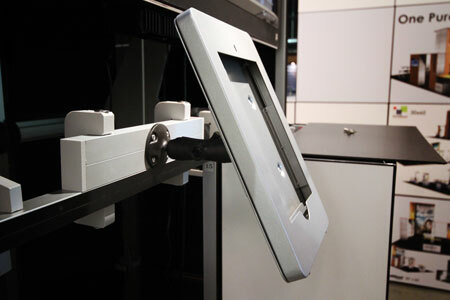 Exhibitors can know that their iPad is safe with a secure attachment bracket with swivel mount head for easy positioning and angling of the iPad. 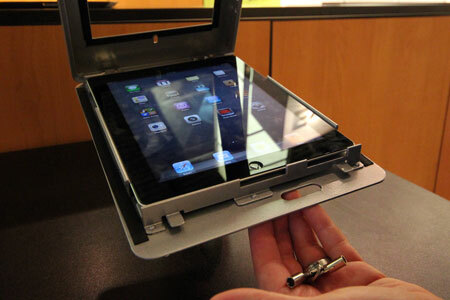 And as an added bonus we added two locks to the case, so you can keep your iPad protected on the trade show floor.